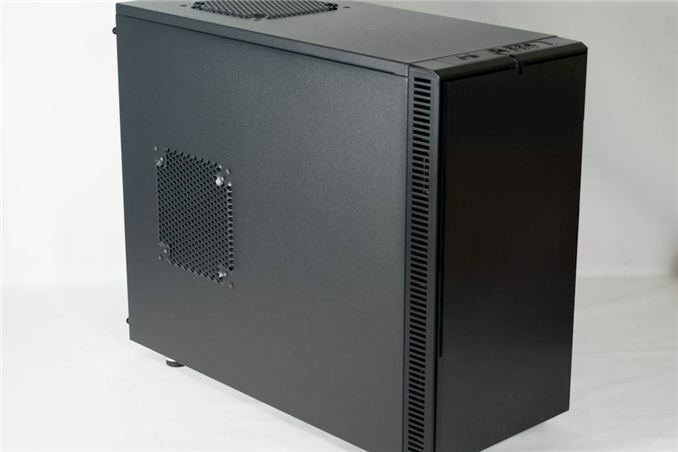 Good micro-ATX enclosures have actually been frighteningly rare of late; manufacturers seem to be going big or going home, and only letting either beefy XL-ATX cases or diminutive mini-ITX cases out to play. It's a weird situation when the micro-ATX form factor seems to be ideal for the majority of end users. Enter Fractal Design and their Define Mini. The Define Mini has actually been on the market for about a year, but with few contenders really materializing in recent months outside of SilverStone's SG09 and Rosewill's Line-M, good options for micro-ATX builders have been somewhat wanting. 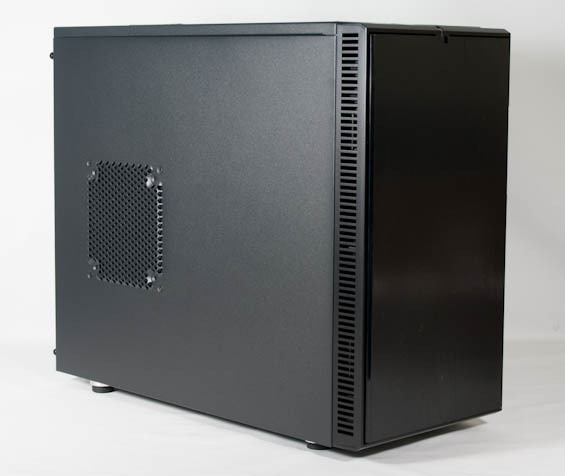 That's why I sought out the Define Mini; Fractal Design's Define line of enclosures has always been a little wanting for air cooling performance, but they're attractive and popular, and they're easy to build. Getting some of that sweet acoustic padding in a smaller package is an enticing proposition. Dimensions 8.3" x 15.6" x 19.3"
If you've been keeping track with the Fractal Design Define series of enclosures, there are no surprises in the Define Mini. Rather than integrating it into the case, Fractal Design includes a separate three-channel fan controller and a fifth expansion slot horizontally aligned above the fourth standard ones to mount it in. Fractal Design's "ModuVent" is accounted for, as well, but I'd've liked an extra vent in the top of the case and support for a 240mm radiator. Finally, there's the acoustic padding we've come to expect and appreciate. The more time I've spent with the similarly padded Nanoxia Deep Silence 1 (and I have seriously pimped this particular ride), the more I've come to understand the role acoustic padding fundamentally serves and its relationship with case design at large. A good thermal design is absolutely essential to a silent case as the acoustic padding proves all for naught, but end users should also be careful to design with these limitations in mind. Acoustic padding doesn't muffle noisy components, but it will bring quiet ones down to even more comfortable volumes, and that makes it a desirable feature. What does all this mean? It means that the Fractal Design Define Mini could theoretically serve a purpose that the other micro-ATX enclosures on the market can't. True the majority of users don't need multiple optical drives or half a dozen internal drives, but I DID. This lil' bad boy is containing my WHS 2011 with 5.5TB (5 1TB Raid 5 + 1.5TB pc backup drive)+ 40GB SSD (OS drive). I have it hidden away and needed a quiet case that could hold 6 internal drives. Not for everyone, sure. But for anyone needing a small & quiet case for a WHS box or other file sharing box it's perfect. if you use WHS you are already on some niche market. don't get me wrong, I'd love to have one box with it on my house, but because of all changes MS is making on the OS with win8 I gave up on the idea of buying a dated Server OS.